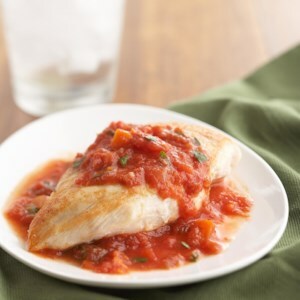 Find healthy, delicious clean eating recipes on a budget, from the food and nutrition experts at EatingWell. 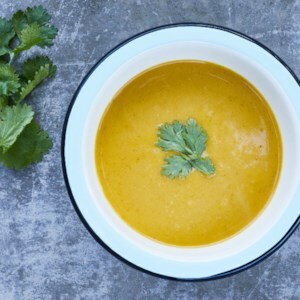 Our clean-eating recipes are made with real, whole foods and limit processed foods and refined grains. Plus, they are lower in sodium, sugar and calories. 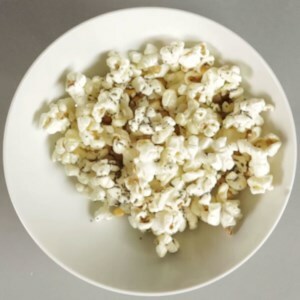 Nutty, salty and incredibly crispy, this cheesy popcorn snack is simple to make and sure to be a favorite snack. 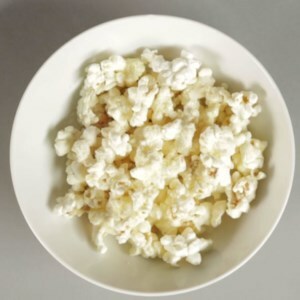 Full of umami-rich flavors inspired by the classic bagel, this easy popcorn snack is sure to make your mouth water. 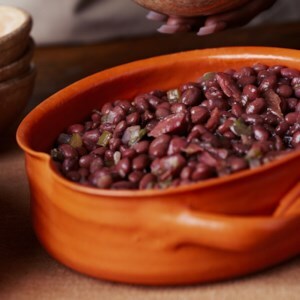 Master the technique of cooking dried beans with this basic recipe. The cooking time will vary based on the age and size of the beans, so begin to check for tenderness after 1 1/2 hours and continue cooking until the beans are tender. 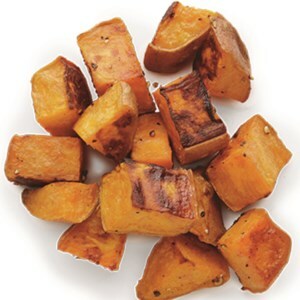 This incredibly simple and quick recipe for roasted sweet potatoes relies on the most basic of seasonings--olive oil, salt and pepper. 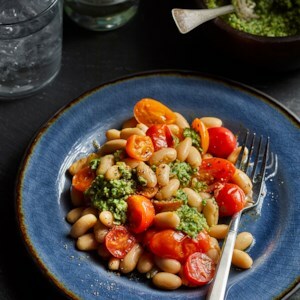 Ready in just 30 minutes, it's a great side dish for a family dinner on a busy weeknight but because it's so easy and delicious, it can also be doubled or tripled and served at larger gatherings. 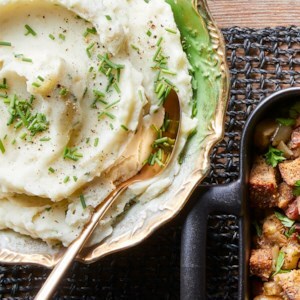 Russets are our potato of choice for this garlicky mashed potato recipe because they cook up super-fluffy. White beans are full of fiber and protein, both of which help slow digestion and curb blood sugar spikes. 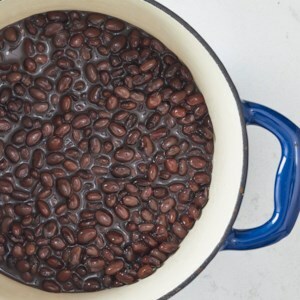 Canned beans are both easy to use and inexpensive--a win-win! 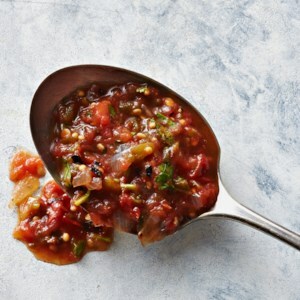 Roma tomatoes, jalapenos, and onion are oven-roasted with garlic to make an intense, flavorful salsa. This recipe makes a big batch of the versatile sauce. It's terrific over beef, chicken, or fish. Or for a side dish, spoon it over spaghetti squash. Shredded sweet potato creates a low-carb crust for this healthier quiche recipe. A classic broccoli and Cheddar filling makes this brunch classic an instant crowd-pleaser. You've used spaghetti squash in place of pasta, but have you used it for a low-carb quiche crust? 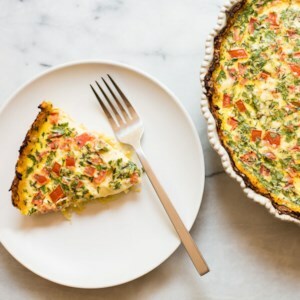 Shredded roasted spaghetti squash turns into a perfectly crispy quiche crust in this healthy Mediterranean-inspired brunch recipe. 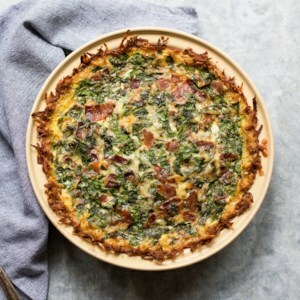 Hash browns meet quiche in this healthy recipe. 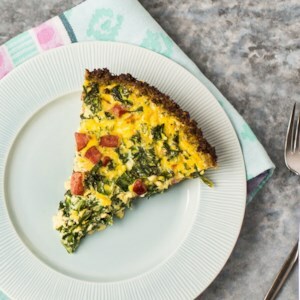 Shredded potatoes create a gluten-free crust for this bacon and spinach-studded quiche that's sure to be a crowd-pleasing breakfast or brunch. 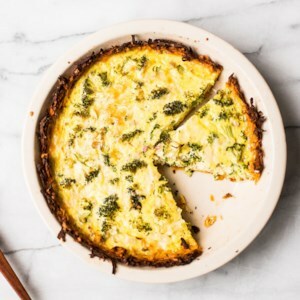 Riced broccoli makes a crispy, low-carb crust for this healthy quiche recipe. Smoked sausage adds tons of flavor to the egg filling and kale gives you even more veggie servings in this crowd-pleasing brunch dish. 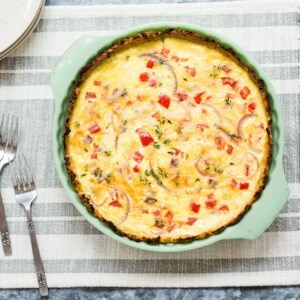 Cauliflower rice makes up the crust of this low-carb quiche recipe. Smoked Gouda imparts a delicious smoky flavor that complements the ham in the quiche filling. If you can't find smoked Gouda, substitute smoked Cheddar. Brown rice add fiber to this diabetic-friendly pork and beans side-dish recipe. Skip the salt when cooking the rice to keep the sodium low. 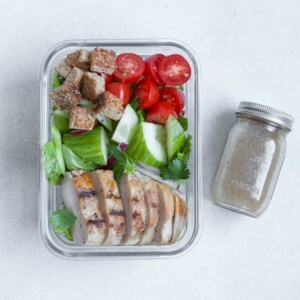 Leftover chicken or rotisserie chicken gets put to good use as a boost of protein in this healthy salad to pack for lunch. The classic chicken salad combines all the basics of a great house salad--greens, tomatoes, cucumbers and croutons--all tossed with a tangy red-wine vinaigrette. This salad capitalizes on fresh spring produce and gets a simple protein boost from hard-boiled eggs. 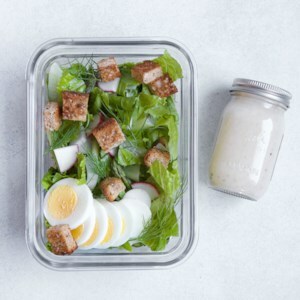 Meal-prep this healthy lunch salad by mixing the salad base together and simmering a batch of hard-boiled eggs on the weekend. Then you'll be ready to just add one or two eggs with a drizzle of tangy vinaigrette for the simplest spring salad-to-go. Asparagus, radishes and scallions herald the start of the spring season at the farmers' market (or in your garden). 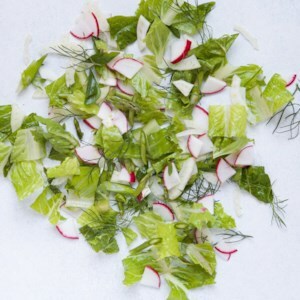 Take advantage of these early growers and turn them into a spectacular spring salad mix. Keep it in your fridge as a base to top with protein, cheese and dressing for easy packable salads to take to work. 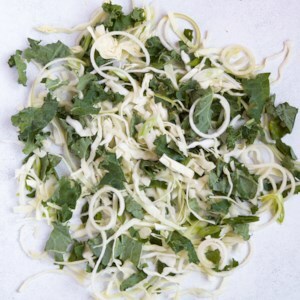 Kale and cabbage form the base of a simple and healthy green salad. Balance the greens with a sweet-tart Granny Smith apple. Spiralizing the apple not only looks great, it's also faster and easier than chopping. Keep this salad mix in the fridge as a base for grab-and-go lunch salads. 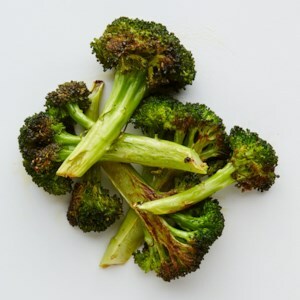 Broccoli, flavored with just oil, salt and pepper and then roasted to perfection, is a simple and delicious side dish for any meal.